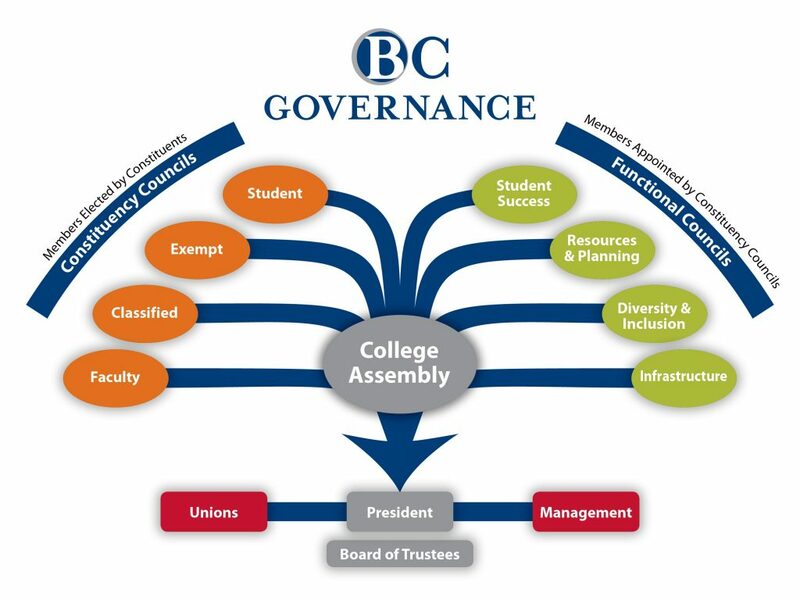 Bellevue College Governance (BCG) is made up of a College Assembly and eight councils that provide advisory recommendations to college leadership on key areas such as strategic direction, resource acquisition and allocation, and policy. All BC employees are eligible to serve on a governance council. Elections for AY 19-20 BCG membership will be held through an online survey distributed through email.